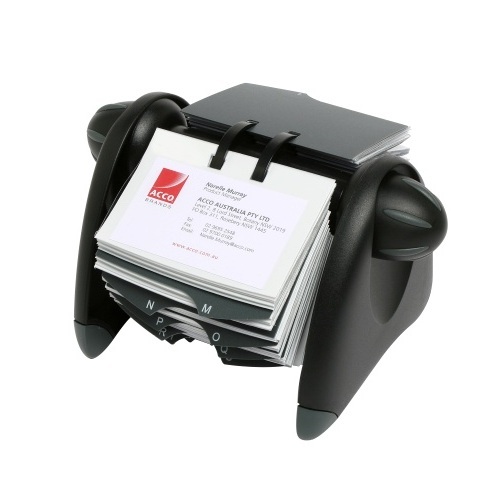 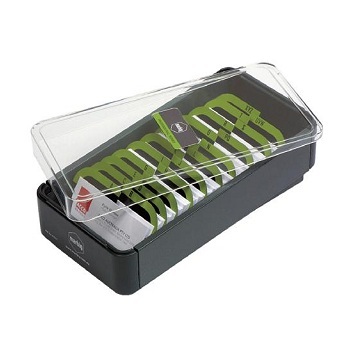 Professional, ergonomic design rotary business card file. 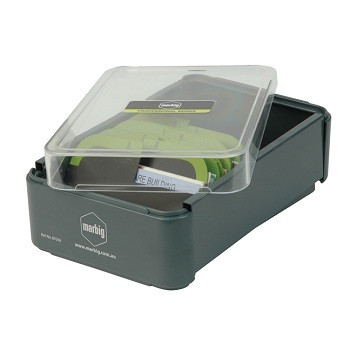 Stylish Black/Grey finish complements any office decor. 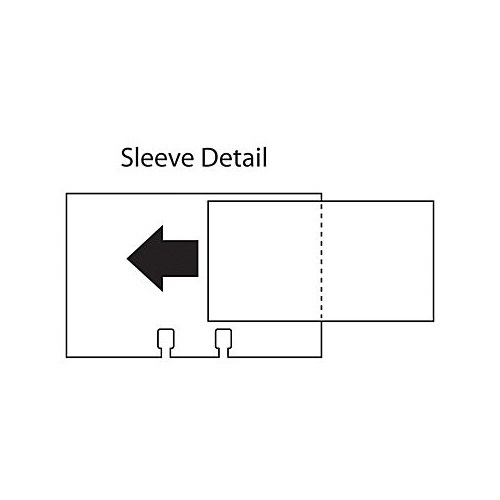 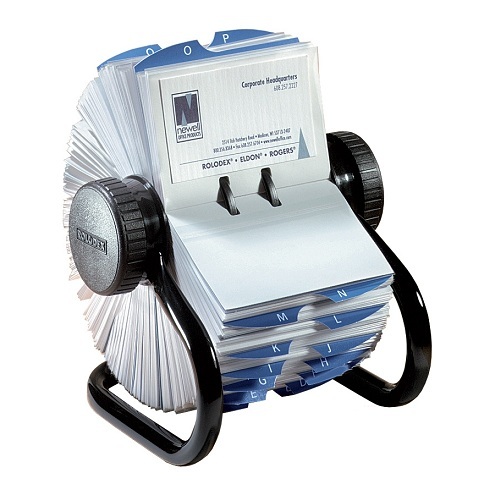 Rotary File with 150 easily removable/replaceable sleeves and printed A-Z index dividers.